Young Gifted and Black: SNEEKPEEK: Zoe Saldana on NBC's 4 Hour MiniSeries "RoseMary's Baby"!! 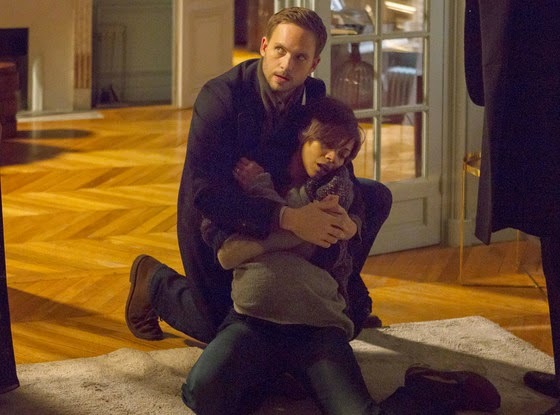 SNEEKPEEK: Zoe Saldana on NBC's 4 Hour MiniSeries "RoseMary's Baby"!! Not a huge Zoe Saldana fan, loved her in "Columbiana" however, one thing for sure, she is a pretty good actress! Looking forward to seeing her pull off a classic such as "Rosemary's Baby"... Do you notice an underlying theme with the major networks and their "primetime" shows now? I do! After a series of unfortunate events, Rosemary and Guy Woodhouse are presented with an extraordinary offer: an apartment with the most prestigious address in the city. But there's a hitch: it comes with a haunted past and an immeasurable price. As Guy's writing career takes off, Rosemary becomes pregnant. Luckily they have their neighbors, the Castevets, to take them under their wing…right? Wrong. Rosemary discovers not everything is as it seems. She's isolated in a strange city and begins to fear the worst. Based on Ira Levin's classic book from 1967, NBC's Rosemary's Baby was directed by Agnieszka Holland and written by Scott Abbott and James Wong. Harry Potter veteran Jason Isaccs and Carole Bouquet also star as neighbors the Castevets. NBC's Rosemary's Baby is a two-part 4-hour miniseries. Look for Rosemary's Baby on NBC this May.